Sanders and polishers come in a large variety and are widely used by professionals for diverse applications. For great sanding and polishing results, many craftsmen prefer Makita sanders and polishers over other brands for their long lasting durability and unparalleled performance. 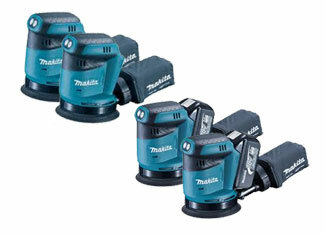 Makita products may not be the best to look at but the results very much are. Sanders and polishers perform a rough job and are used with less care than other tools so they can get damaged or broken. This damage can be fixed quite easily with the help of the instruction manual and toolpartsPro. 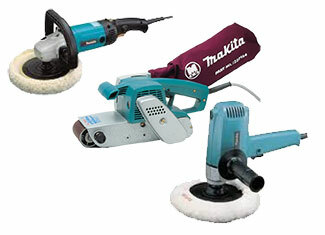 Here you can buy Makita sander parts and Makita polisher parts that are genuine and sold at lowest online prices. The odds of finding better prices are very low. ToolpartsPro sells an amazing variety of Makita repair parts which includes spare parts of Makita 9035D, 9046, 9030, 9218PB, 9902, BO3700 and hundreds of other sanders and polishers. You can place your order from right here or you can call us at our toll free number 888 982 6540 to gather more information and get answers to your questions.